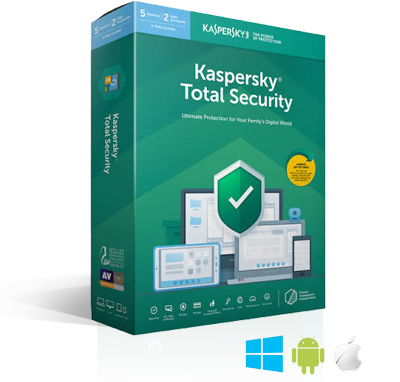 ﻿ Kaspersky Internet Security 2018 2019 & Kaspersky Total Security 2018 2019 - The Best of Both Worlds! Whether you’re working online or offline, at home or out and about, you’ll experience unbeatable protection with Kaspersky Lab’s innovative hybrid approach to digital security. We’ve combined real-time protection information from the cloud with powerful security technologies installed on your PC to deliver a faster, more effective response to today’s complex, ever-evolving threats. 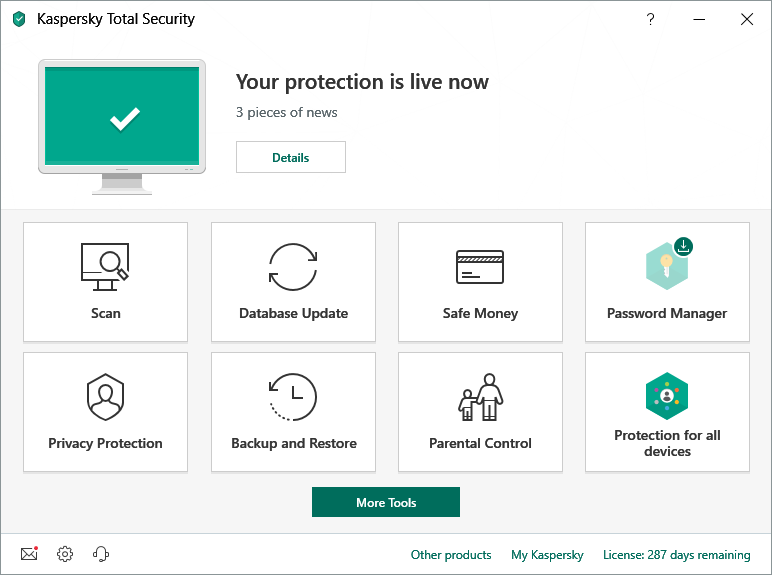 Kaspersky Total Security 2019 delivers the flagship Kaspersky protection from viruses, Trojans, spam, hackers and much more. Whether you’re banking, shopping or social networking online, you can have complete confidence that your account details are secure, you won’t stumble onto dangerous websites and you’ll only receive safe messages from your friends. Enjoy the Internet to its full potential with Kaspersky Total Security 2019! Extended Protection for Kids - A feature unique to Total Security package only. 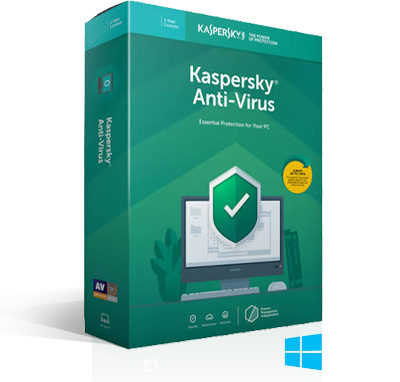 Kaspersky Anti-Virus 2019 is the backbone of your PC’s security system, delivering real-time protection from the latest malware and viruses. It works behind-the-scenes with intelligent scanning and small, frequent updates, while proactively protecting you from known and emerging Internet threats. 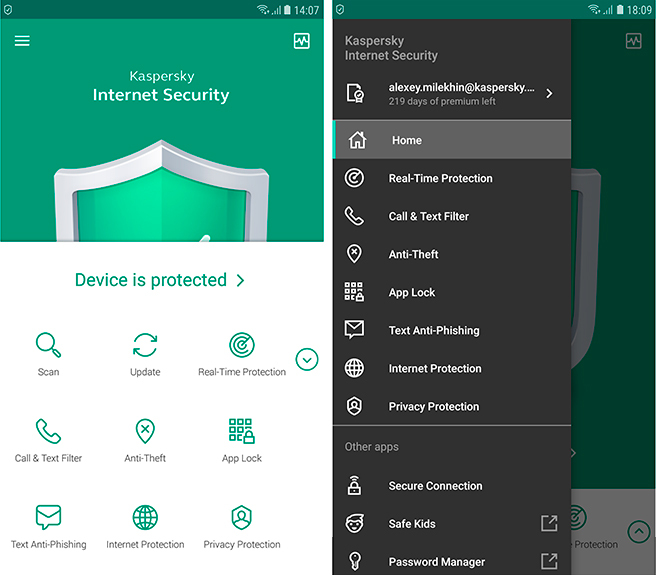 Enjoy essential protection that won’t slow you down with Kaspersky Anti-Virus 2019! 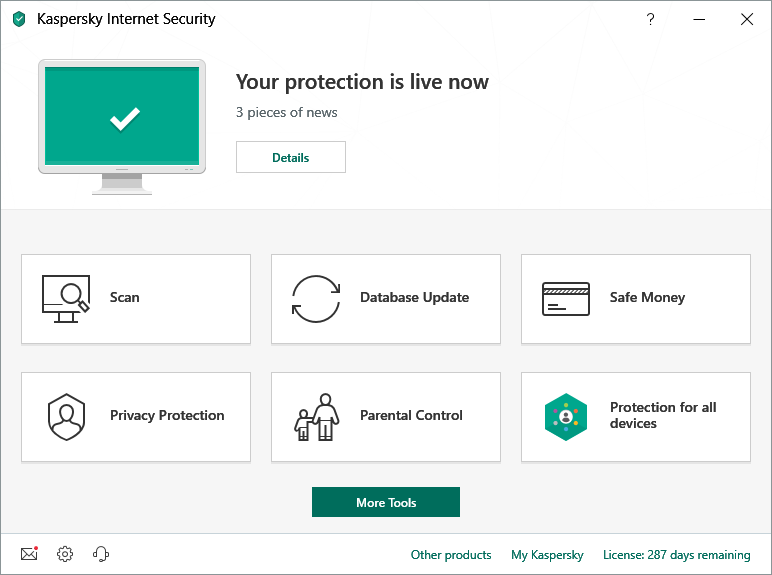 Kaspersky Internet Security 2019 delivers premium protection from viruses, Trojans, spam, hackers and more. Whether you’re banking, shopping or social networking online, you can have complete confidence that your account details are secure, you won’t stumble onto dangerous websites and you’ll only receive safe messages from your friends. Enjoy the Internet to its full potential with Kaspersky Internet Security 2019! Your phone & tablet can be as vulnerable as your PC. That’s why – when you’re surfing or socialising – you need to protect your mobile life. 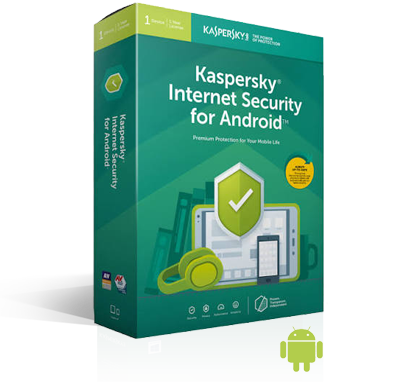 Kaspersky Internet Security For Android delivers premium protection from viruses, Trojans, spam, hackers and more for your mobile android devices. Our powerful mobile antivirus blocks malware & dangerous links – plus we help you to filter out unwanted calls & texts and guard your privacy. If your device goes missing, our remote tools can help prevent personal data falling into the wrong hands! The KIS store is an independent UK reseller of authentic Kaspersky software - Our License Keys are Genuine UK Origin and only suitable for use in United Kingdom and European Union Region.